The Marvel Cinematic Universe is not the only universe getting an epic endgame this month. 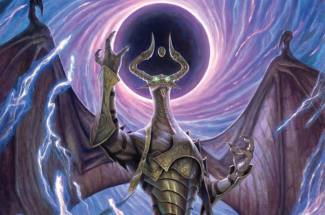 Nicol Bolas is unleashing his grand scheme in War of the Spark, and some of the cards from the upcoming Magic: The Gathering set feature artworks that reveal his overwhelming power. 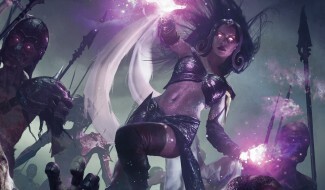 Today, Wizards of the Coast have revealed one of those cards: Commence the Endgame, a powerful Instant spell that can't be countered and gives you the ability to draw 2 cards and Amass. Being able to draw two extra cards and create an army at Instant speed is great. 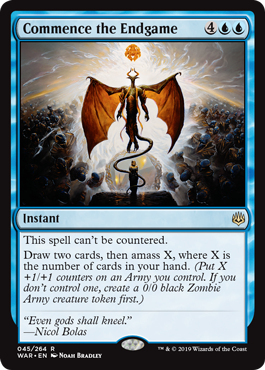 This card could also be an effective sideboard in Control mirror matches as it provides an uncounterable kill condition and draws you a couple of extra cards. Its six-mana requirement may take a while to build up to but you get so much value when you cast this.